In December, 15 people were trapped in a rat hole mine in the state and died. The tragedy had both socio-political and eco-geological roots. The massive vertical cliff at Dauki, on the southern side of the Shillong Plateau near Cherrapunji, is elegance made real. It divides the Indian highlands and the Bangladesh Plains, and it is a bastion of calm. I was standing on a rocky ledge watching it on a foggy morning in March this year; the cliff was still shrouded in wispy clouds. I was there for a film shoot, as a presenter, organised by a public educational broadcasting channel from Seoul. 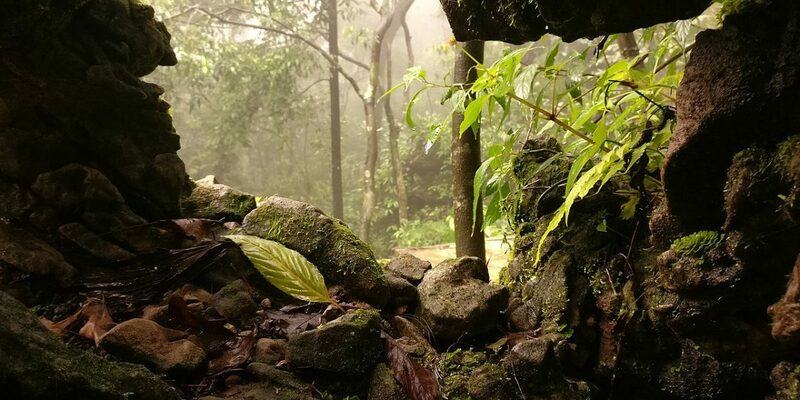 Its members were there to shoot the interiors of Mawmluh cave, from where the Meghalayan Age was first reported – now a global rock boundary signifying a near-global drought about 4,200 years ago that destabilised ancient civilisations. In that time, oceanic and atmospheric circulation patterns were reorganised, weakening the monsoons. In front of the camera, I didn’t need any prompts from the director to stand still while a drone flew above us, providing a bird’s eye view of the cliff. Given a choice, I would have stood there for hours taking in the grandeur of the plateau, a geological marvel that still holds many mysteries of its origin. This was my second visit to Cherrapunji. Last time – 17 years ago – I was chasing an earthquake that had occurred in the region in 1897. I started my journey from Thiruvananthapuram in Kerala, and when I reached Cherrapunji, I had to buy an umbrella. Alexander Frater, who wrote the travel classic Chasing the Monsoon (1990), would say it was the only season that has moods. Caught up in that incessant rain in Cherrapunji, I realised we had been chased and overtaken by the clouds. The rains in that year, 2003, were elemental. This is why I was intrigued when, in March, the residents said they don’t get enough usable water despite the rains. In fact, a local geologist who had joined us said Cherrapunji was losing its water like a sieve. Somehow the region was water-starved over four millennia after the Meghalayan Age had concluded. Why? Are we approaching a similar period now? Geology is all about making sense of location. The fact that the Shillong Plateau, a raised feature of the land, is located within the Himalayan foreland makes it an interesting geological riddle. The abrupt appearance of a raised continental basement with an average altitude of 1,500 meters in the proximity of the Himalaya is very curious. The only one of its kind in the world, this massive hard rock batholith with a 15-km deep basin filled with sediments on its southern side has an outsize influence on climate. The plateau is a barrier to moisture-laden winds from the Bay of Bengal, and influences the distribution of monsoon precipitation along the eastern Himalaya. As a result of these interactions with the Indian monsoon, the plateau’s southern flank has become the wettest place on Earth. It was once near sea level and showed itself above the water about 15 million years ago. Its surface started rising actively sometime around 4 million years ago. Its uplift reorganised the Brahmaputra’s drainage. The plateau’s topographic growth deflected the river, which previously flowed to the south, to the west by around 2 million years ago. Vertical movement along two great faults on the uplift’s northern and southern extremities allowed it to happen. The fault on the northern side was the site of a great earthquake in 1897, which devastated the southern Assam and Shillong regions. This quake was the harbinger of modern seismological research and so there exists a large observational archive associated with it. However, the earthquake potential of the Dauki fault, on the southern part of the plateau, remains unknown. It’s an interesting scientific question with implications for both Bangladesh and India. The bending of the foreland lithosphere under the Himalaya must be generating a considerable amount of stresses, loading the faults both at the southern and northern sides of the plateau. So the plateau’s presence of the plateau not only modulates monsoon precipitation but it may also be regulating the rate of plate convergence along the eastern Himalaya. The region’s geological history shows us why the plateau has evolved into a dynamic entity with effects on the climate and tectonics. But there is also a serious ecological crisis brewing in the plateau that affects the region’s water budget. This is mostly due to the unsound and unscientific mining activities. 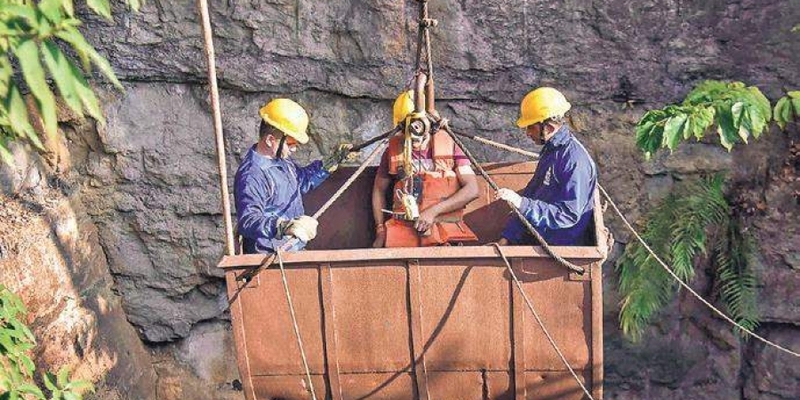 On December 13, 2018, 15 miners – mostly migrant labourers – were buried in a rat hole mine at Ksan in Meghalaya’s east Jaintia hills after it was suddenly flooded. Such accidents aren’t new in Meghalaya. In a similar accident in July 2012, another 15 miners were killed in the south Garo Hills. Their bodies were never recovered. How do you explain a flash flood in a rat hole mine? And what is the source of this water? In the past, interactions between the land and the sea in the southern part had initiated continental and marine deposition, creating mineral resources. Among them, coal and limestone occur in an east-west direction in Meghalaya’s south, and the coal has a high sulphur content. This is because, unlike most of the coal in India, which is deposited in the large basins of the Permo-Carboniferous age (299 to 359 million years ago), Meghalayan coal was formed in lagoons much later (50 to 33 million years ago). As a result, the coal seams are lensoidal: thick in the middle but pinching out laterally, and with a scattered distribution. And because of these reasons, it is not possible to use the same mining plan that engineers use to mine coal in other parts of the country. In other words, and professionally speaking, Meghalayan coal is not a mineable asset. In my earlier visit to region, and long before the National Green Tribunal banned coal-mining in the region, I remember having seen several mine pits close to each other. I was told that these pits used to be sites of rat hole mining and had since been abandoned. The state’s coal seam occurs at a depth of nearly 150 meters, so a vertical pit must be dug made to reach it. The miners who extract the coal must climb down 500 feet into the mine. Then, at that level, they are forced to crawl for about 150 meters horizontally. In these situations, they risk coming upon another abandoned, and collapsible, mine or an abandoned mine that has since become an underground reservoir of water. When they encounter the latter, the result is a flash flood. Meghalaya has an estimated 559 million tonnes of coal reserves and all its coal mines are all privately owned. They are not governed by any environmental protection laws, and many abandoned mines are left unworked, and aren’t filled up once all the coal has been extracted. These gaping pits and rat holes provide easy routes for the water to flow through. Consequently, surface runoffs have considerably reduced in volume: the expanding network of underground channels of human creation are now draining the rivers. This in turn explains why there is an acute shortage of potable water on the surface. Several scientific reports have also warned that Meghalaya’s water bodies are also suffering the effects of acidic mine drainage from the sulphur-rich coal mines. Several civil rights activists have voiced their concerns about the worsening environmental conditions in Meghalaya. The coal- and other mining activities, which already wreak havoc in the social and cultural lives of the region’s peoples, also posing grave threats to a natural environment that took millions of years to evolve. It is high time that such activities are stopped immediately. And for this to happen, the people of Meghalaya have to come together and raise their concerns in one voice. Let us regain the paradise. C.P. 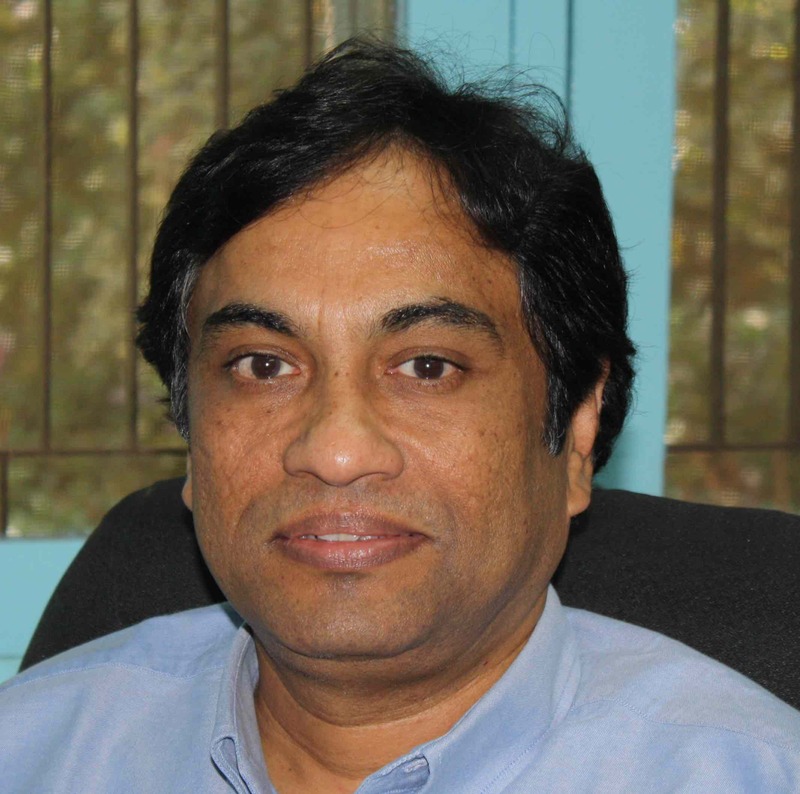 Rajendran is a professor of geodynamics at the Jawaharlal Nehru Centre for Advanced Scientific Research, Bengaluru.